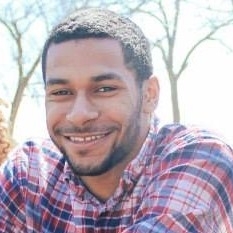 NICK DAVIS is a Posse Scholar studying Computer Science at Northwestern University. He is an alumnus of Westchester Enriched Sciences Magnets in Los Angeles, where his team won the first Aspen Challenge by building an aquaponics greenhouse on campus. Since his time in Aspen, Davis has spoken at panels and conferences on a range of topics spanning from his mixed-race identity to hydroponics to how self-care plays into activism. Davis is president of MIXED, Northwestern’s mixed race student coalition and a member of Engineers for a Sustainable World. As a resident in The Garage, an entrepreneurship lab, Davis is developing a business dedicated to reimagining community development through aquaponics.